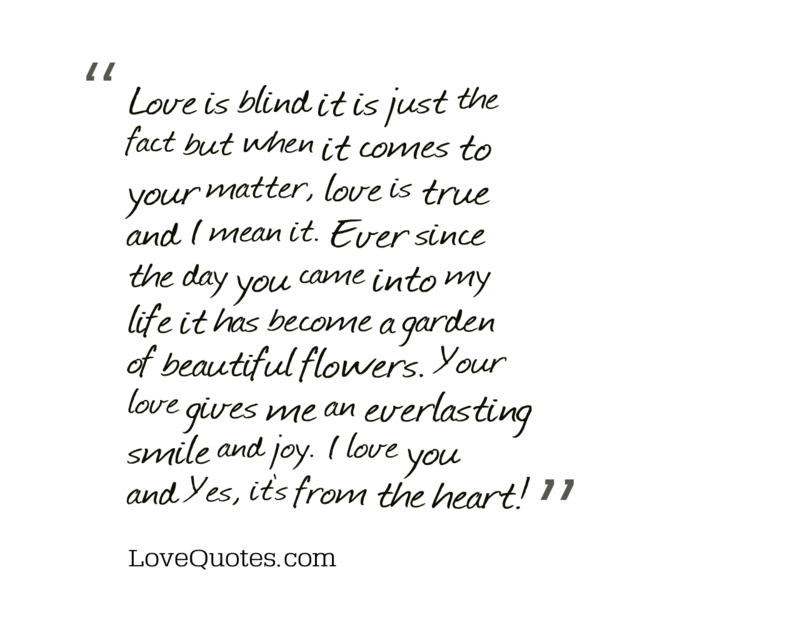 Love is blind it is just the fact but when it comes to your matter, love is true and I mean it. Ever since the day you came into my life it has become a garden of beautiful flowers. Your love gives me an everlasting smile and joy. I love you and Yes, it’s from the heart!